This lumber is pressure treated in order to protect it from termites, fungal decay, and rot. Production of SmartSide siding starts with wood strands or fibers, then a zinc-borate compound is applied to prevent decay. Resins are also applied to allow the siding to resist the elements for years. This type of siding may be preferable over fiber cement because it does not require expertise or special equipment to install. Additionally, fiber cement comes with the health hazard of airborne silica. Louisiana-Pacific also claims that SmartSide siding has advantages over traditional wood because of its resistance to fungi and termite corrosion, and is resistant to wood warping and cupping as well. SmartSide siding uses longer pieces of wood, which requires less trees to be cut down; and is made from wood fibers and strands, so the production process doesn’t require scrapping of wood with knots or voids. Additionally, Louisiana-Pacific uses small, fast-growing trees to make this siding, and the zinc-borate used in production is a natural-occurring compound. Paintable/Stainable Yes Product Length (in.) 96 in. The panel has a tan, wood-textured surface that is primed and ready to paint. Blocks up to 97% of the radiant heat in the panel from radiating into the attic,reducing attic temperatures by as much as 30°F. Tongue and grove edge joints they are often used without any glue, allowing the boards to expand and contract without any negative effects. The joint is formed by one piece having a grove, or slot, cut the length of the edge. This grove is most often one third of the wood’s thickness and is placed in the center of the edge, producing two walls of wood that are the same thickness. The other piece has the sides of the stock removed, leaving a tongue that is precisely the width of the groove formed on the first piece. joint), and even without glue the two boards can not be separated. This makes the joint ideal for high-stress. This #15 Felt Roof Deck Protection features quality asphalt saturation for great waterproofing to add an extra layer of protection between your shingles and your roof deck. Felt paper gives roof maximum protection from rain and snow. Keeping water out from underneath roof shingles, felt paper helps to extend the life of a roof. Uses: Moister Barrier between roof decking and shingles. 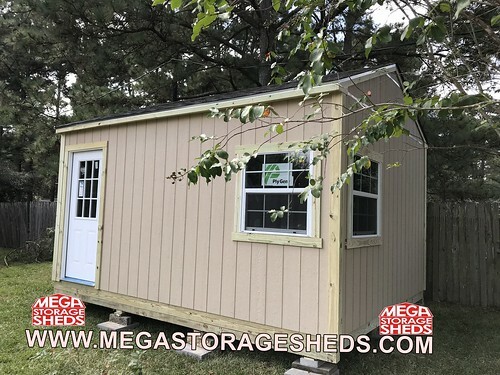 We build ALL of our custom sheds, barns, gables and cabins with only the BEST materials. 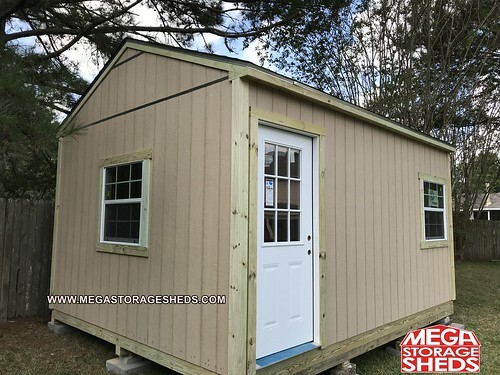 So if you are looking for a Storage Shed Houston, look no further! We are the clear choice!